What a year! 2017 brought us transformation and excitement in the Internet of Things (IoT) space. With all this in mind, I want to share what I believe will be the top five IoT trends in 2018. 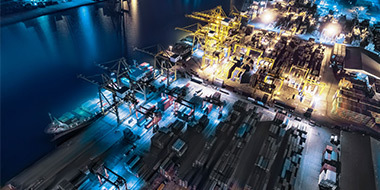 In the Industrial Internet of Things (IIoT), businesses will need to rethink their tools if operations, supply chains and value propositions are to remain competitive. The IBM Institute of Business Value report, “Thinking out of the toolbox,” highlights the realization by executives that digital data holds the promise to eliminate guessing and start understanding operations. 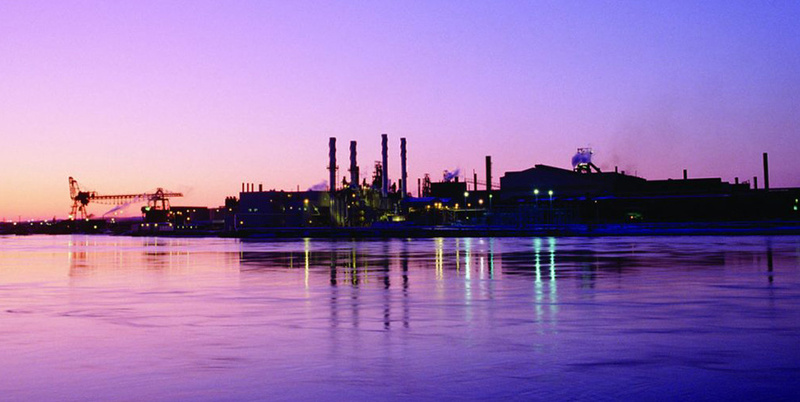 A key tool to improve operations with digital data is the Digital Twin. Digital Twins are a huge next step in the world of IoT. In brief, the digital twin is a virtual doppelganger of the real-world thing. (Read more about Digital Twins.) In a software-everywhere world, Digital Twin technology will help organizations bridge the divide between the physical and digital. The Digital Twin serves as a looking glass into what’s happening within physical assets. They also give insight into changes required for the future. Leveraging your IoT investments, and IBM Watson, the Digital Twin visualizes the hidden insights and dependencies of usability, traceability and quality. And all of these will eventually be part of your operations revolution. Eventually, with sensors everywhere, operations and interactions could be customized for every client. 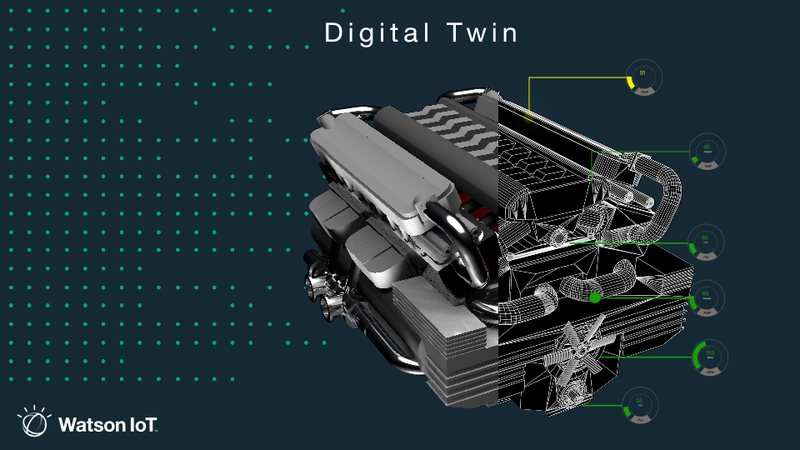 Ultimately, the Digital Twin accelerates the product development timeline at reduced costs. 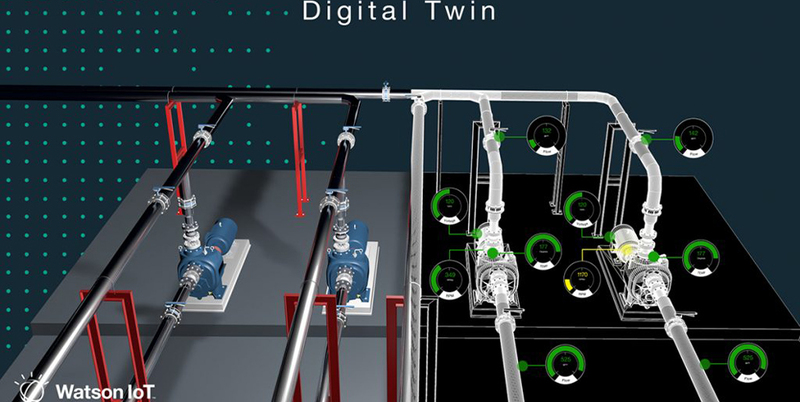 As the digital counterpart of a physical product, the Digital Twin allows product developers to create, test, build, monitor, maintain and service products in a virtual environment. In short, the Digital Twin empowers organizations to shift to an operations-centric view. Proactive and predictive maintenance enables front line personnel to act before costly delays or failures occur and keep product development. Build trust. Blockchain can help build trust between the people and parties that transact together. Watson IoT blockchain enables devices to participate in blockchain transactions as a trusted party. While Person A may not know device B and may not trust it implicitly, the indelible record of transactions and data from devices stored on the blockchain provide proof and command the necessary trust for businesses and people to cooperate. Reduce costs. 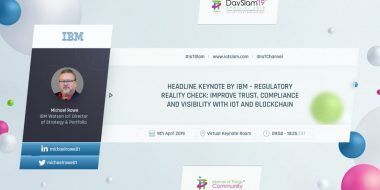 IoT and blockchain enable participants to reduce monetary and time commitment costs by ultimately removing the “middle man” from the process. 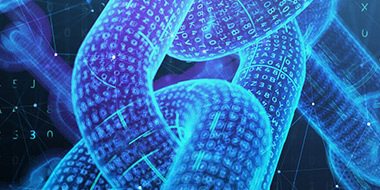 Transactions and device data are now exhibited on a peer-to-peer basis, removing most legal or contractual costs. Accelerate transactions. IoT and blockchain enable more transactions overall because it removes the middle man from the process. Organizations reduce the time needed for completing legal or contractual commitments through smart contracts. Blockchain for IoT can transform the way business transactions are conducted globally by providing a trustworthy environment. These transactions are automated and encoded while enterprise-level privacy is preserved, offering security for all parties. With IBM Watson IoT Blockchain, information from IoT devices is used in transactions. These blockchain-based solutions help organizations improve operational efficiency, transform customer experience, and adopt new business models. And it’s all done in a secure, private and decentralized manner. That means greater value for every participating organizations, a goal we should all strive for in 2018. As we rely on connected devices to make our lives better and easier in 2018, security is a must. All participants in the IoT ecosystem are responsible for the security of the devices, data and solutions. This means that device manufacturers, application developers, consumers, operators, integrators and enterprise businesses should all follow best practices. 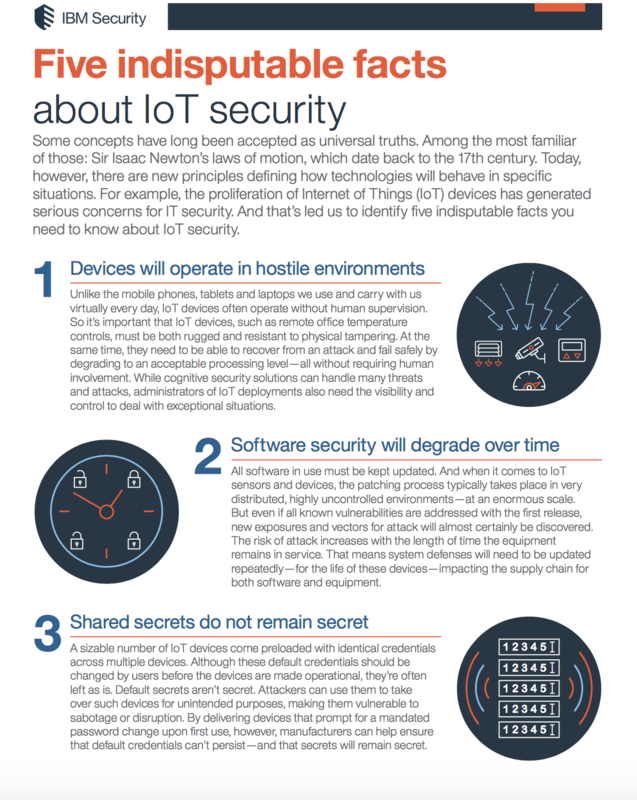 IoT security requires a multi-layered approach. From a device point of view, it starts with design and development. Hardware, firmware/software and data must stay secure through the entire product lifecycle. It’s the same approach whether you’re a security analyst or operations person responsible for IoT solutions. IoT’s full potential will only be reached if security challenges are addressed. That requires a combination of interoperability, education and good design—and a proactive, not reactive approach to designing security features. At IBM, we take security very seriously. We understand the intricacies of IoT. And we have the combined expertise from across our entire organization to explore the issues and provide best practices. Our thought leaders from IBM Research, Security and IoT joined forces on a comprehensive overview of IoT Security. 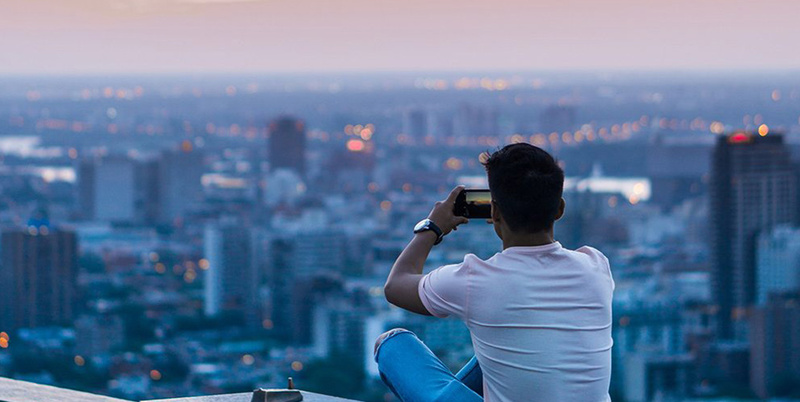 Read our latest POV on cognitive security for the Internet of Things for the implications, best practices and standards of IoT security. Organizations will realize benefits more quickly. Maybe you’re just getting started. You’re collecting and sifting through telemetry data to discover new insights. Or maybe you’re ready to unleash machine learning on heaps of data to predict future machine failures. Either way, SaaS gives you the option to be up and running in hours, not months or years. There’s a lower cost of entry. A typical IoT solution is comprised of several components spanning many technologies. There is device-side firmware, multiple connectivity technologies, server-side logic, vast amounts of data, and machine learning. Do you have the budget to develop and manage all that infrastructure from day one of your IoT project? An IoT SaaS implementation makes it easier to start slowly and grow a solution over time. There’s also Increased flexibility. Don’t limit your evaluation of the SaaS solution to your initial IoT needs. Given the uncertainty of how your business will leverage IoT, now is a great time for some experimentation. In the new year, take advantage of SaaS capabilities to push your IoT project further or to try multiple scenarios. Last on my trend list, but certainly not least, is Cognitive Computing. The Internet of Things is at the threshold of a tremendous opportunity. For over a decade we’ve connected things with unique IP addresses. But the commoditization of sensors, processors and memory now make it possible to makes everyday things more than just connected … they can be intelligent. 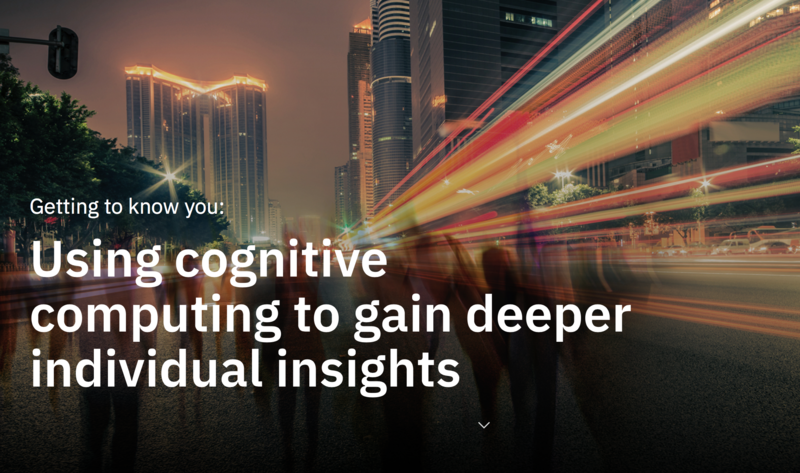 Learn more about cognitive computing in this IBM guide. Beyond traditional IoT implementations, cognitive computing increases the amount of data to improve the learning environment. That, then, increases the possibilities of what can be done with edge analytics – making sensors capable of diagnosing and adapting to their environment without the need for human intervention. Another huge advantage of cognitive IoT: the ability to combine multiple data streams that can identify patterns. With that, they give much more context than would otherwise be available. I expect these five things to play a major role in enterprise IoT in the coming year. And I fully expect other trends will emerge that aren’t even on the horizon yet. Because IoT is evolving so rapidly, there’s always something new! As we look ahead to 2018, I hope you’re as excited about the IoT world as I am. And if you have thoughts on these or other trends that you believe will drive IoT transformations, let me know. I’d enjoy hearing from you.